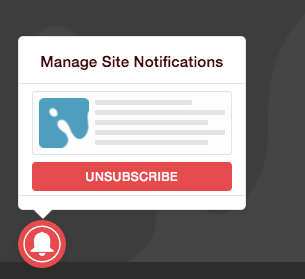 Alongside our new website launch, we’re also releasing a new feature to users called “Push Notifications”. Push Notifications will allow you to receive updates right on your desktop or mobile device, keeping you informed without the need to check your email. To sign up for notifications simply click the “Allow” button when your browser asks if you would like to receive notifications. Alternatively, if you did not get the browser notification, or you dismissed it, you can click the red bell icon at the bottom left corner of your window. We will send notifications when we post new sermons and add invites for a new series, we’ll let you know when we’re live streaming our Sunday experiences, remind you of Beach Baptism times, and much more. 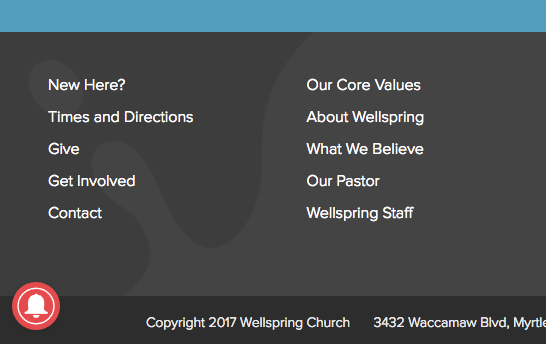 Push Notifications are a great way to stay in touch with all the happenings at Wellspring. If you subscribed to our notification system prior to August 28th, 2017 you will have to resubscribe to notifications. We’ve installed a security update to ensure that we’re delivering our content to your device in the safest possible manner. 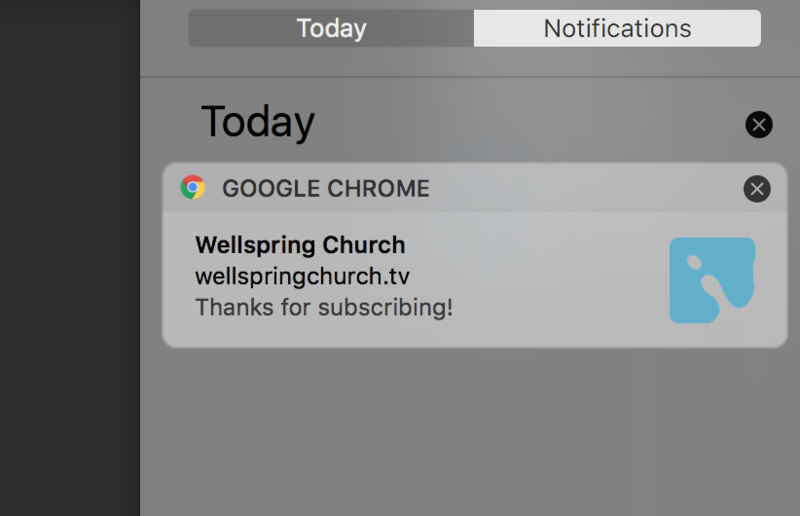 To resubscribe, please refresh this page and click the “Allow” button when the browser asks if you would like to let Wellspring Church send you notifications. You can also click the red bell in the bottom left corner of your screen. You can unsubscribe from the old notifications by going to your notifications manager in your browser and turning off notifications from https://wellspring.os.tc:443. Here is a handy guide for disabling notifications on the more popular browsers. Click on the Red Bell at the bottom left side of your screen. Go to Safari > Preferences (or press Command-Comma). From there you can manually disable/enable notifications from select sites, remove all notifications, or access your system-wide Notification Preferences. Select the Content panel and click the “Choose…” button under Notifications. Notifications are not currently supported on all browsers and devices, the table below will indicate which devices/browsers are supported. We’re always looking to improve our website and communication with you. We really think you’re going to enjoy notifications and all of the other great features we’ll be rolling out over the next few months.